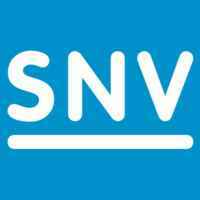 SNV (www.snv.org) is a not-for-profit international development organization. Founded in the Netherlands 50 years ago, we have built a long-term, local presence in 38 of the poorest countries in Asia, Africa and Latin America. Our global team of local and international advisors work with local partners to equip communities, businesses and organizations with the tools, knowledge and connections they need to increase their incomes and gain access to basic services – empowering them to break the cycle of poverty and guide their own development. SNV has been working in Vietnam since 1995. Using market-based approaches, SNV is committed to reducing poverty by catalysing environmentally sustainable solutions for the poor in agriculture, energy, water & sanitation, and REDD+. We are seeking committed personnel for internship position on a voluntary basis with an affinity for gender and women economic empowerment to join and contribute to Vietnam FLOW/EOWE programme. SNV has initiated the Sustainable Sanitation and Hygiene for All (SSH4A) results programme in five Districts to strengthen capacity of Local government authorities (LGA) on sanitation supply chains development (SSCD). SNV is, seeking for 2 Volunteers to be trained and work with the Local Authority Government (LGA) staff to increase access to improved toilets. Monitor and report progress on Safi latrines and wooden stools production and sales. Good oral and written communication, analysing, writing and computer skills. Be willing to work in the 2 districts. Interested candidates who meet the key qualifications are encouraged to send in their applications. Please send your application letter and CV to https://www.smartrecruiters.com/app/jobs/all/ before 2nd April 2019.